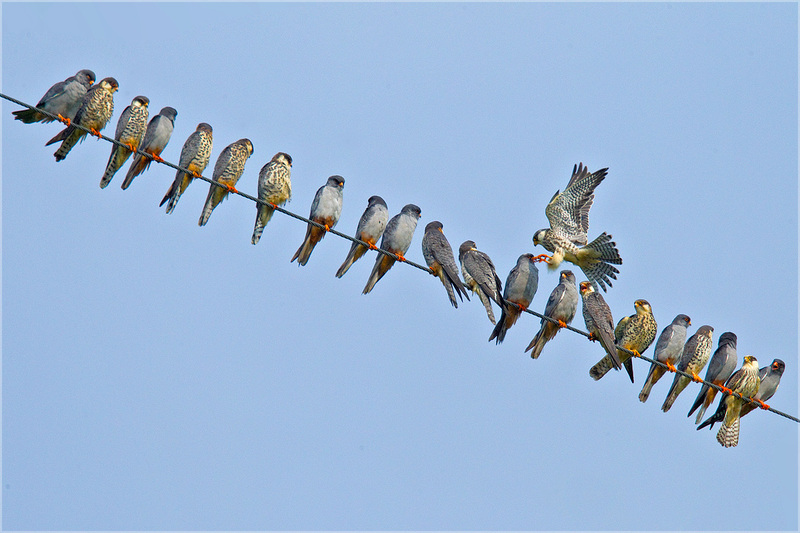 As the ‘Friends of the Amur Falcon’ initiative was underway in Doyang, Nagaland, the NGO NWBCT had parallely set-up ‘Amur Counts’ across a dozen locations in Northeast India. The objective of these counts were to document migratory routes, and roosting areas, as well as potential harvesting sites of Amur Falcons in the entire Northeast. NWBCT is the Nagaland-based NGO that, along with Conservation India, discovered the mass killings in Doyang last year and launched the ‘Friends of the Amur Falcon’ campaign. 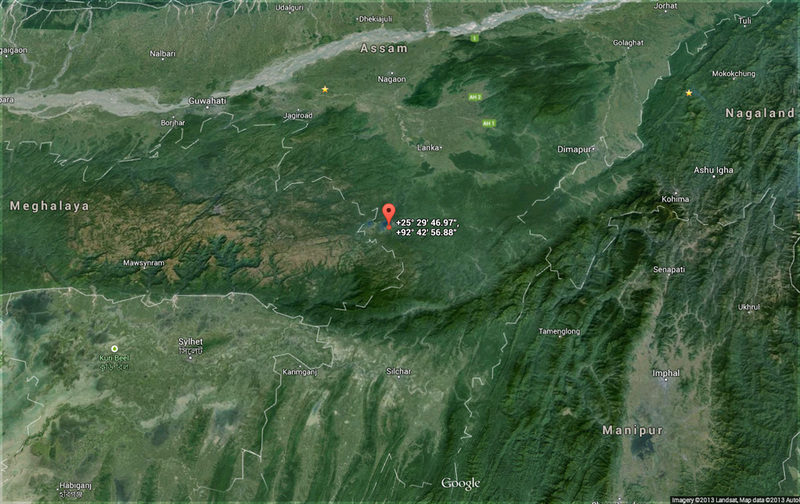 While the team reported sporadic hunting incidents in a few sites, one site – Umrangso, on the Meghalaya-Assam border – revealed extensive killings. The positive side to these killings were that local NGOs and the forest department were already engaged in education, patrolling and enforcement activities. While the killings seem to have been going on for years, conservation activities commenced only this season. A large-scale initiative with full government support is needed to put an end to the killings from next year. 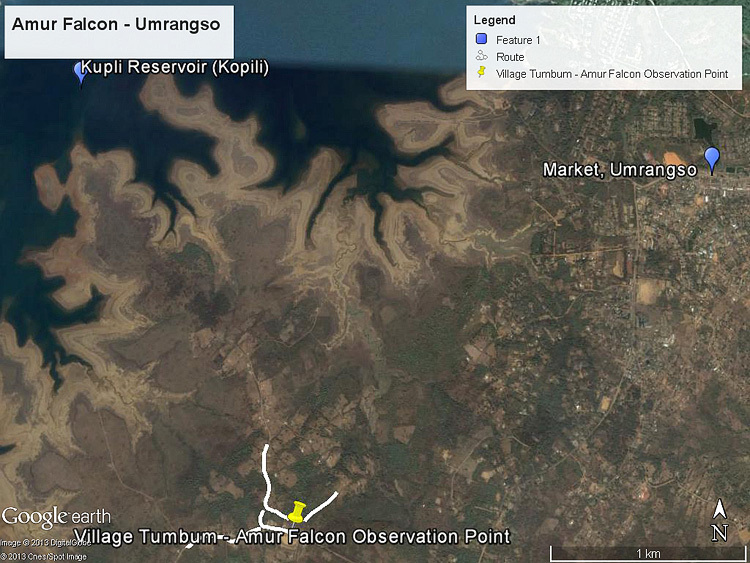 This documentation is based on observations by NWBCT’s ‘Amur Counts’ volunteers Ramit Singal, Saurabh Sawant and Sagar Sathyachandra from 11-13 Nov 2013 in Tumbum village 10km from Umrangso town. Every evening, around 1600 hrs, thousands of falcons would come in to roost by the Umrangso (Kupli) Reservoir. The big flocks would circle above the plantations for about 30 minutes. Almost all of them would have settled to roost by around 1700 hrs. 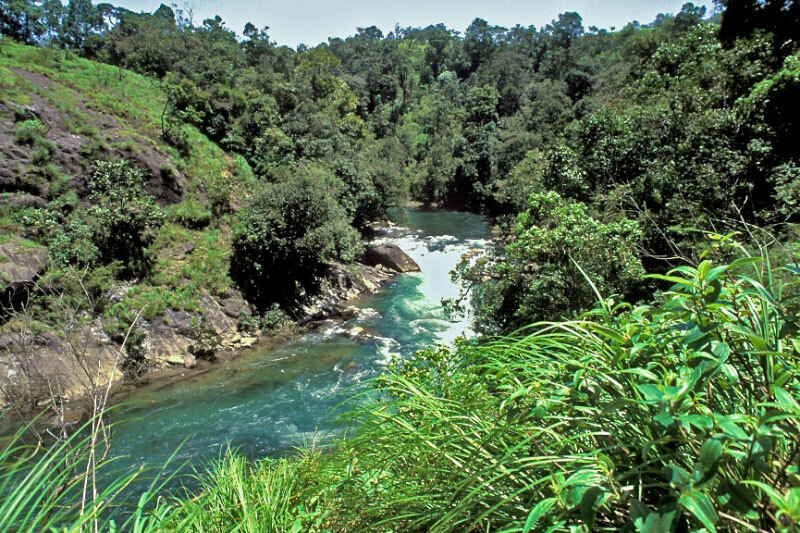 The plantations were of trees that are used by the locals for firewood. Prior to roosting, early arrivals would feed on emerging termites. The falcons used trees of medium height (c20-25ft) for roosting in the area observed. Up to 30 birds may roost on a single tree, with some roosting as low as 6ft above the ground. While initially wary, the birds would become used to nearby movement within a couple of hours after settling down. The local tribes – primarily Karbi, followed by Dimasa – have traditionally hunted these falcons for a long time. The Kupli reservoir is about 15-years old and the falcons could have possibly begun roosting in the area after its creation like in Doyang reservoir, Nagaland. Hunters gather in small groups of up to 4 people (several hunt singly as well) and look for the birds in the trees after 2300hrs. It is reported that hunters keep moving in to hunt even at 0300hrs. The birds are caught by hand where they roost within reach or simply knocked down by catapults. It is reported that many hunters cook and consume several falcons on the spot as well. This was evident from the signs of feathers, campfires, etc. in the roosting areas. It is estimated that there are at least 100 such hunters and they hunt throughout the migration season. Each hunter catches up to a 100 falcons each night during peak season. This could mean that there might be up to 10,000 falcons killed each night — a shocking scale at par with the Nagaland numbers. This data pertains only to observations in Tumbum village, which is one of several villages on the banks of the Umrangso (Kupli) Reservoir. As per discussions with locals, all villages around the reservoir are involved in hunting falcons during the migration. It is reported that birds sell at Rs 50 a bird in the local markets strictly in secrecy and only to locals. They are also exported to areas like Meghalaya and Tezpur (Assam) where the meat has great demand amongst Karbis. While we didn’t see birds being sold openly, we did see Amur Falcon feathers strewn amongst the roadside garbage in the main town indicating birds are secretly sold to those who ask for it. This was confirmed later after talking to some villagers who told us that “one has to specifically ask in the tribal language for the bird and you will get it”. Save Umrangso Club: Run by Joybesh Warisa. About 30 volunteers headed by Joybesh have been instrumental in making alerting the forest department and nearby locals to the hunting practices that take place. They station themselves at the site late in the evening and stop the hunters from going in to the roosting locations for as long as possible. Blue Hills Society: This Haflong-based NGO from that has been working hard to spread awareness about the hunting taking place in Umrangso. Forest Dept, Umrangso: After 07 Nov 2013, armed guards have been stationed along the village Tumbum roosting site and they make sure that no hunter gets through up till 0100 hrs. Conservation India will escalate these findings with officials and NGOs in Assam to ensure that the killings are stopped in 2014. Ramit is a wildlife researcher currently working with Centre for Wildlife Studies, Bangalore. 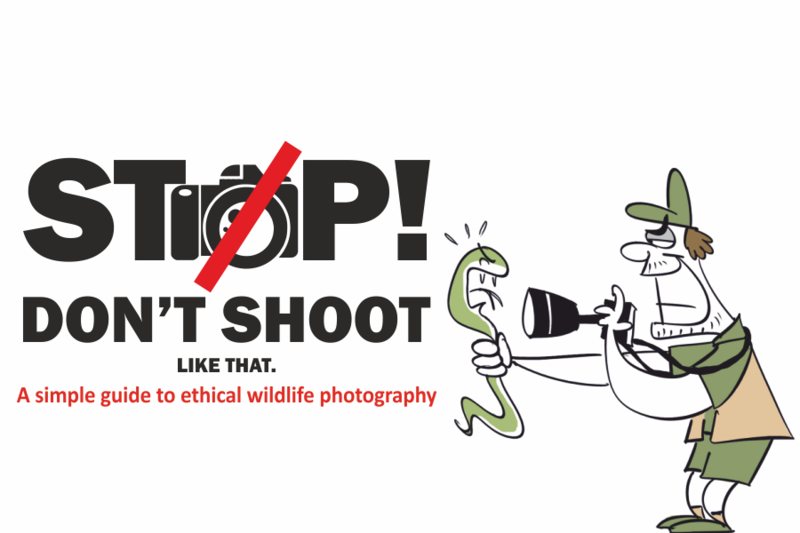 Saurabh is a Mumbai-based wildlife researcher and photographer.